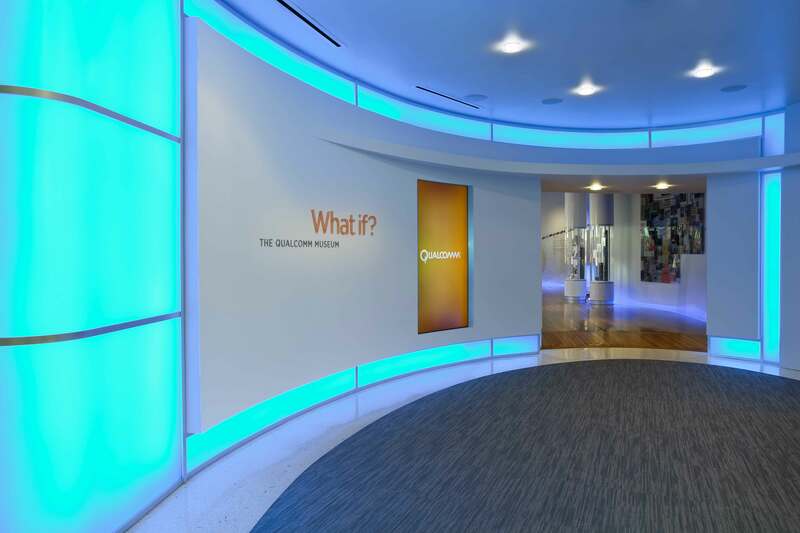 Located in Qualcomm’s Corporate Headquarters Building, this museum was created to showcase and celebrate the company’s first 25 years. The highly interactive space chronicles the company’s journey from a local start-up company to the wireless technology giant that it is today. 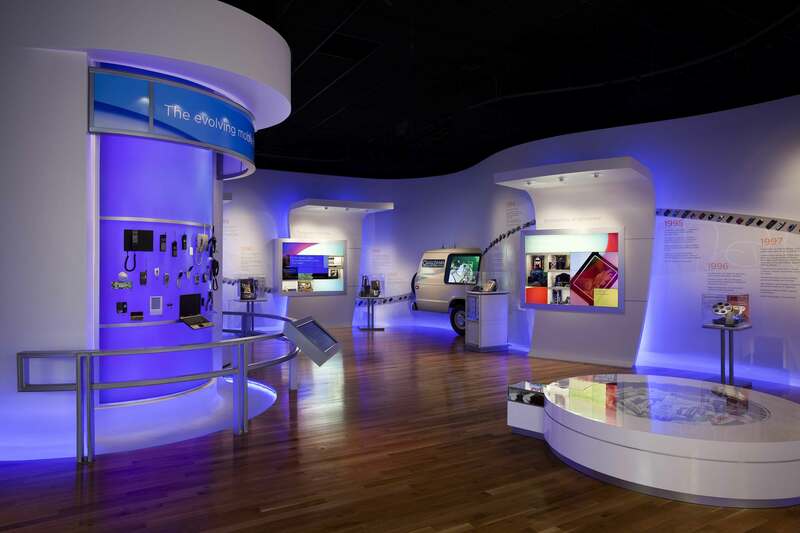 The theme of the museum is “What If?” and includes exhibits of early CDMA wireless technology products, as well as glimpses into what the future may hold for the wireless world. 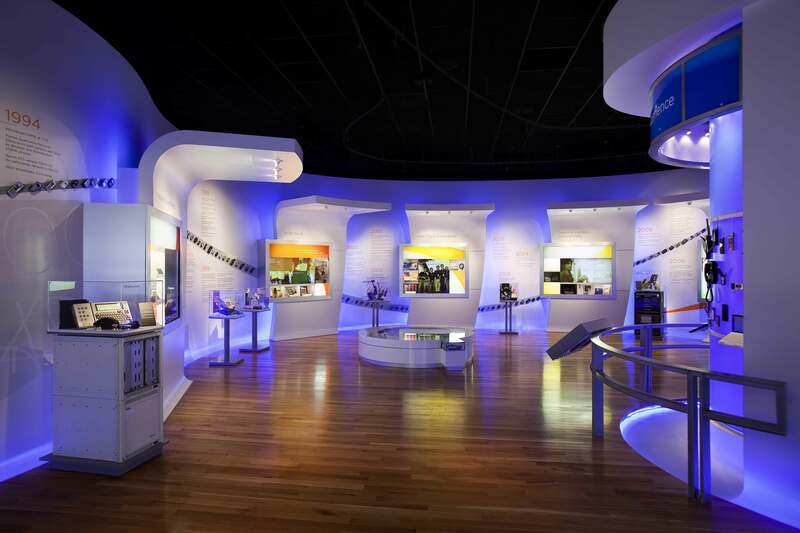 The museum was a collaborative effort between Delawie and Baker Brand Communications, who designed the visuals of the museum. 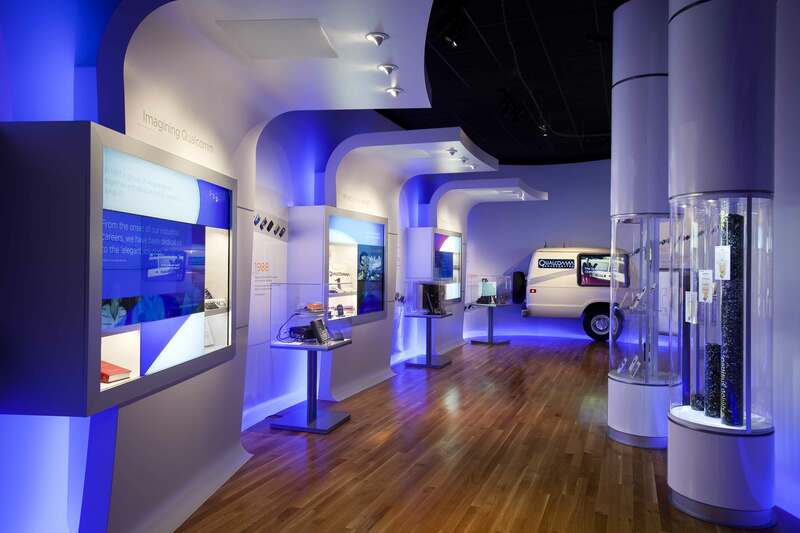 The space holds years of technological advancements presented in an clean intuitive way. 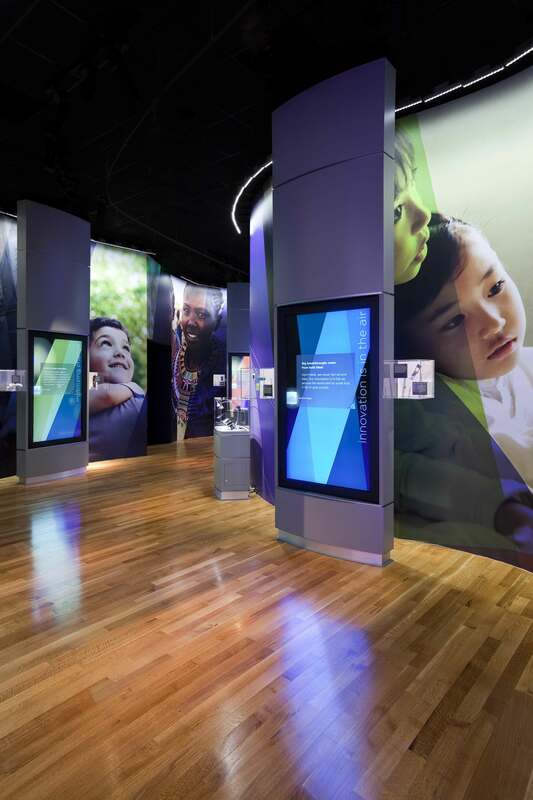 The sections were divided by the themes of past, present and future – displaying brick sized phones, large paneled touch screens, and an augmented reality station where you can play a futuristic version Rock’em Sock’em Robots.